The day commences when our guide picks you up from your hotel and takes you to the Eloy Alfaro train station in the neighborhood of Chimbacalle. 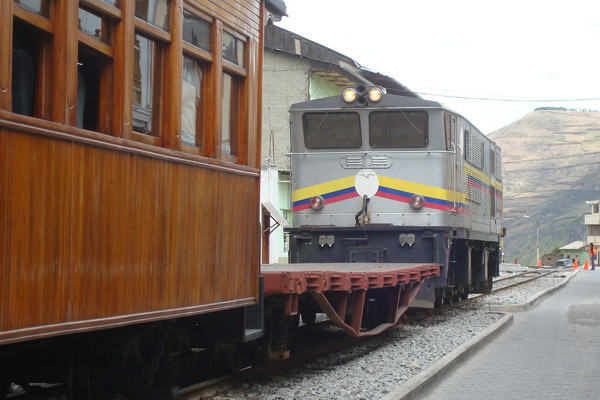 From the station the train will depart south taking you across the Andes Mountains to the Boliche train station. Here, after a short walk around the pine forest, you will enjoy a delicious lunch based on typical foods of the Ecuadorian Andes. 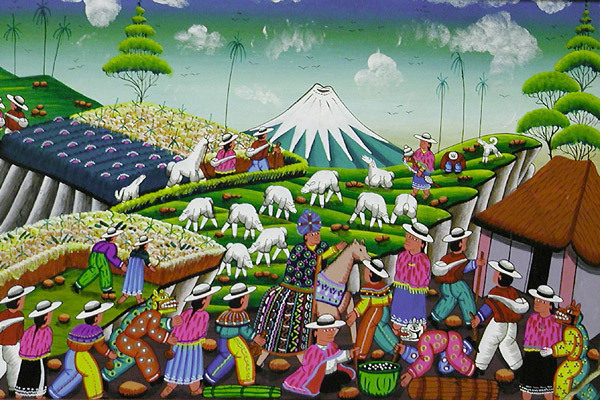 After a short break we will drive to the small town of Tigua known for its colorful paintings. The artisans of Tigua used lamb leather as a canvas to depict their daily activities and customs in detail with beautiful and intense colors. After you have had a good night's sleep we will continue on to the town of Zumbahua where unique beautiful masks are carved from wood with astonishing skill. 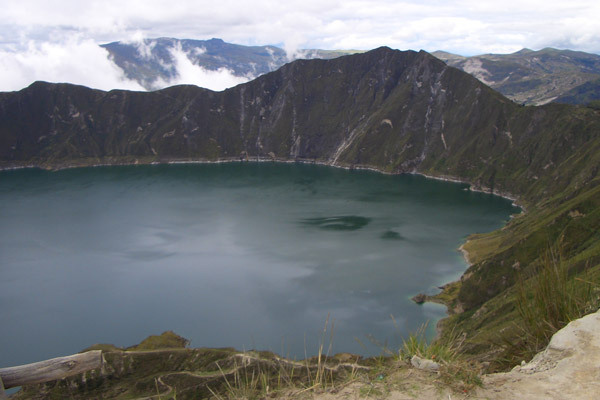 As you finish your visit in Zumbahua we'll take a quick excursion to the rim of the crater of the Quilotoa volcano whose interior holds the 'Waters of the Gods', according to local ancient legends. We will then make a pit-stop for lunch at the border of the crater at an exclusive restaurant. After lunch, we will head back to Quito.